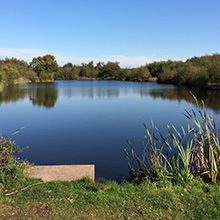 Read all about our fully stocked lakes to find out why we’re famous for the quality and variety of coarse fishing which attracts keen anglers both for leisure and match fishing. Donut is predominantly used as a pleasure fishing water. All other species – maggot, caster, worm, corn on cage feeder or pole. Donut water is generally suited better for rod fishing, can get a little weedy for pole fishing during summer months. Well suited for rod and pole fishing, similar methods to Queensberry Water as the two are linked together via two culvert bridges. Often used in Broom series, festival weekends and open matches. Pole fishing – corn, pellet or meat. All other species – maggot/caster, worm, on both pole & rod with cage feeder work well. 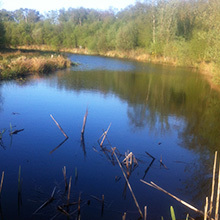 Canal is predominantly a pleasure fishing water but occasionally matches are held on this water. Situated between the Square & Canal, has 3/4 pegs, Link is an excellent pleasure fishing area which regularly produces large carp. A very popular water, for both pleasure and match fishing. 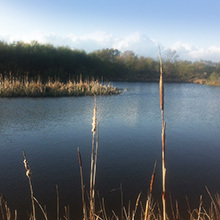 Queensberry water is open for pleasure fishing Mon – Sat, but is generally closed on Sundays for match fishing, which has become increasingly popular. On rare occasions on Saturdays club matches are booked on it also. An excellent water for all types of fishing on rod/pole. Method & cage feeder with pellet, corn and maggot all work well. Waggler float fishing shallow with pellet/maggot can be very good during the warmer months. Best methods – chopped worm & caster, maggot, pellet and sweetcorn. The current match record stands at 88lbs, with weights regularly recorded between 50 & 60 lbs on match days. Enquiries are always advisable with regards to weekends, although Saturdays are generally free. 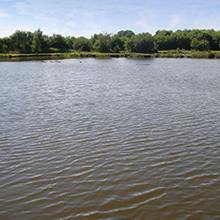 Square is predominantly a pleasure fishing water, although a popular match water during the winter months. Best methods – cage feeder, method feeder works well for all species, corn, pellet, meat, maggots and worm are best baits. Square water is very well suited for pole fishing, both deep and shallow. Worm, maggot & caster over groundbait works well, with 30lbs + of silver fish regularly recorded during matches. Fully stocked with small mirror Carp, Ide, Skimmers, Roach and Perch, with a handful of large Carp up to 16lbs. 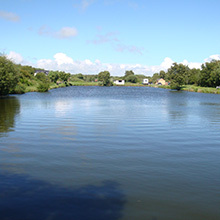 Wallace is a “match only” water, due to increasing demand on match days, and to occasionally free-up one of the other match waters on Sundays for pleasure fishing. Wallace water is the proud current holder of the Scottish Match Fishing Record, which now stands at 128lb 6oz and is held by Mr Ian Whitson from Motherwell, Scotland.